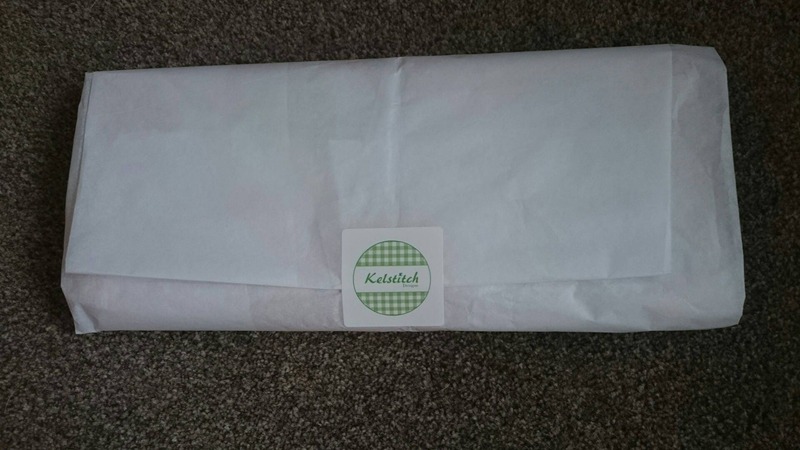 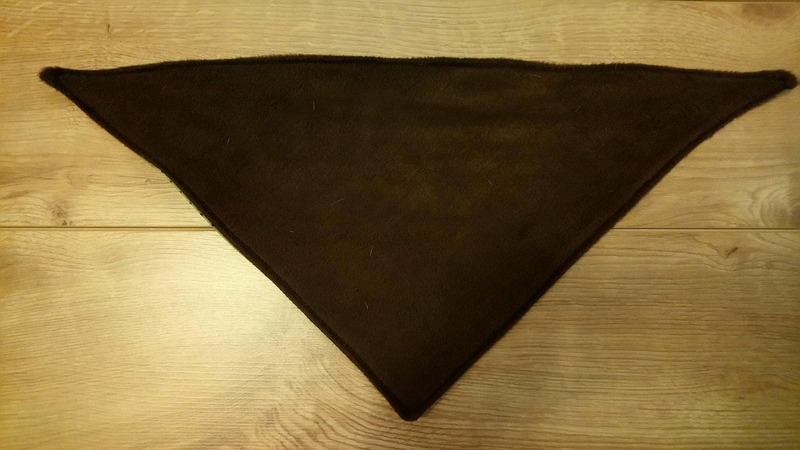 KelstitchDesigns are proud to present our newest style of dog bandanas - the reversible fleece bandana! 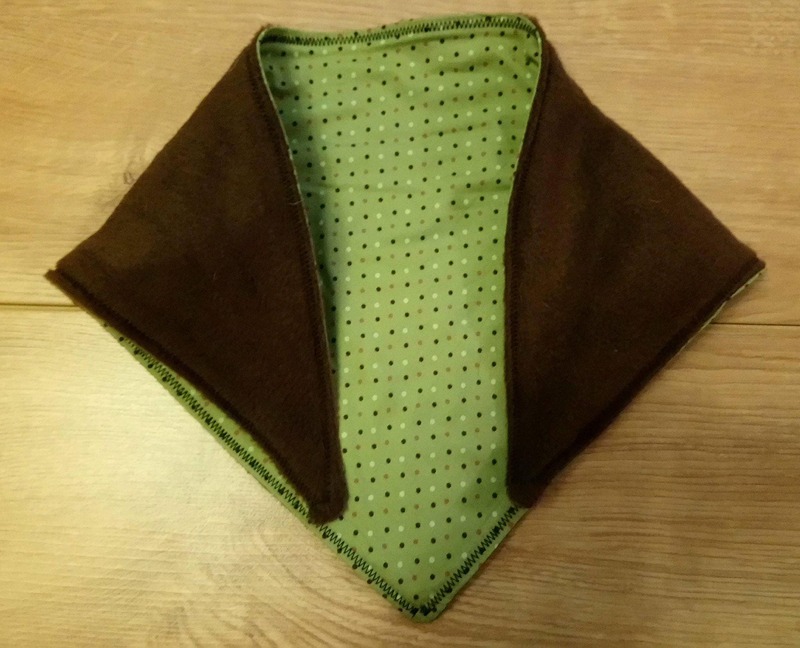 These are the perfect accessory for your canine best friend. 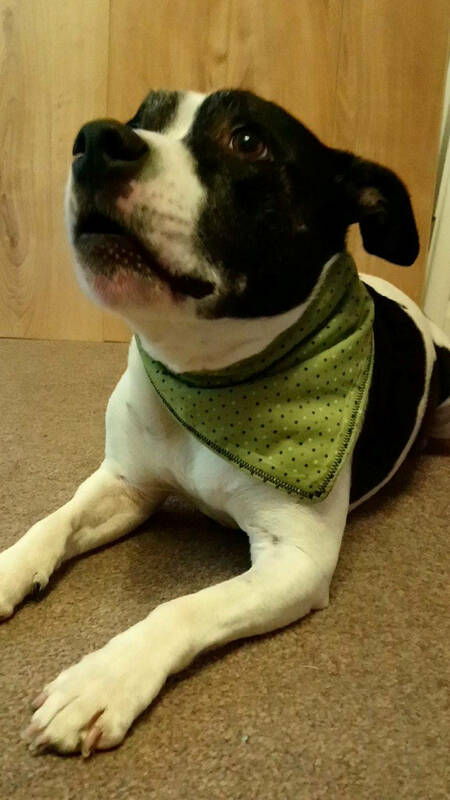 These trendy, cute, comfortable, warm and snuggly bandanas are tie front to allow you to adjust the size, or attach to leads, collars or dog clothing, as well as to be worn in the traditional style (as modelled by my best friend Billy in the photo). 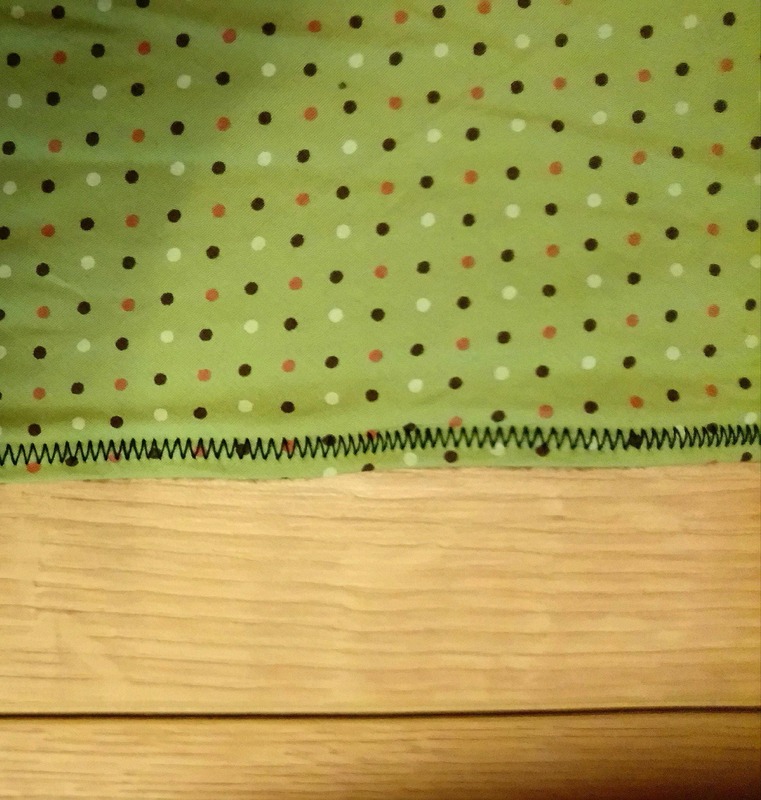 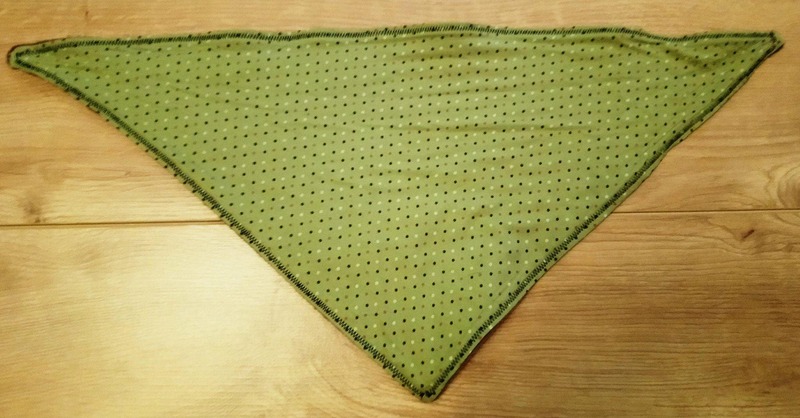 Made from green polka dot cotton on one side and brown fleece on the other side these reversible bandanas are stylish, classy, comfortable and have a beautiful soft feel.